The only way to soak up the holiday spirit faster than being visited by three (nudgy) ghosts is to take a peek at these amazing Christmas events happening all over the Ocean State. This year’s theme is “A Family Gathering" and runs through Jan. 1. Van Wickle family diary entries give us a glimpse into the family’s Christmas and New Year traditions, allowing the museum to recreate the Christmas weekend at Blithewold in 1910. 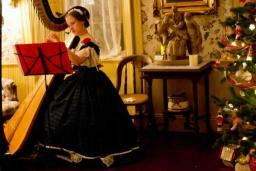 What is better than a Victorian Christmas? 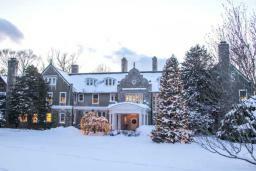 Hearthside has received countless accolades about its authentic rendition of Victorian Christmas traditions and decorations. 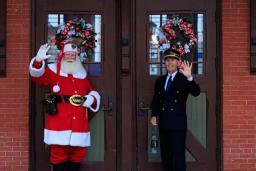 Stop by for a visit Dec. 8, 9, 28 or 30. The classic Christmas children’s tale comes to life once again in Blackstone Valley through Dec. 23. Enjoy sing-a-longs, hot chocolate served in a souvenir mug, delicious cookies, games, and a special visit from Santa where he personally delivers the first gift of Christmas to every child. 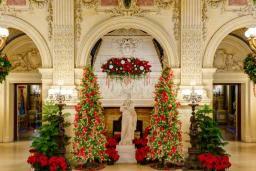 The Preservation Society of Newport County goes out of its way each year to put on a spectacular Christmas display at The Breakers, The Elms and Marble House. With music, tours and plenty of programming, you’re bound to find something new and exciting at each of the mansions through Jan. 1. 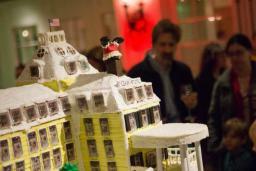 With the guidance of Ocean House’s culinary team, local culinary students compete to craft the best gingerbread creations, which will be on display on Dec. 12. The final products create a Gingerbread Village and chefs vote on the final winner. You can use this as inspiration for your future family gingerbread creations. Who doesn’t love a friendly (and edible) competition this time of year? 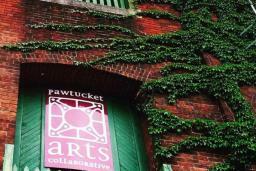 The Pawtucket Arts Collaborative is home to this second annual winter market on Dec. 8 and 9. What sets this market apart is that all of their 28+ makers and artists work with handcrafted, up-cycled and vintage treasures. Each piece is unique, and you’ll find something for everyone on your list. Perhaps even a few things for yourself! Sharing these awesome events with your family and friends will make them happier than when Scrooge woke up and realized he had time to make up for his horrible behavior ... hopefully.